Buying or selling a home is a major life choice. Whatever your real estate needs, Shannon can help you reach your goals with confidence. Her expertise of the local market will give you the best possible experience from start to finish. Using this website, you will have all the information you need about the current real estate market. RE/MAX: The #1 name in real estate. 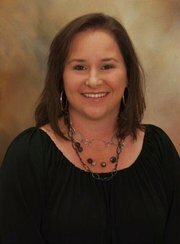 Shannon Smith has been a licensed Realtor since 2009. She strives to help each client reach their goals with confidence. Shannon has helped families in all types of situations and would love the opportunity to help you too! "I had my house on the market and was unhappy with my first realtor. After asking around for recommendations I was asked to contact Shannon. When I contacted her she asked me what made me unhappy with my other realtor. This showed me that she cared about what I wanted and was going to do everything she could to make this a pleasant experience. Shannon worked extremely hard to get my house sold... even when the odds were against her due to the area I lived in. Once my house sold... I used her to purchase my new home. Again, she has been amazing during this time. She works for you 24/7... no matter what time of day or day of week... she is available. The entire time I have worked with her, she has made me feel like I am her only client (which I know she has a number of others at the same time). She gives her honest opinion when asked and does exactly what you ask...not what she thinks should happen. She is very professional and works extremely hard! I would hire her every time!" Shannon was a great real estate agent in the sale of our home! From the listing, professional pictures, and always being there when we had a question or concern! She is a great person and knows her profession! Things can get scary during the process, and she always had a way of smoothing things over. Can't thank her enough for all her hard work! Shannon was awesome, always answered our calls or text with any questions we had. She showed us the listings we wanted to see. We had a contract on our house in 7 days!! I wouldn't recommend any other realtor but her if you want your house sold ~ call Shannon!